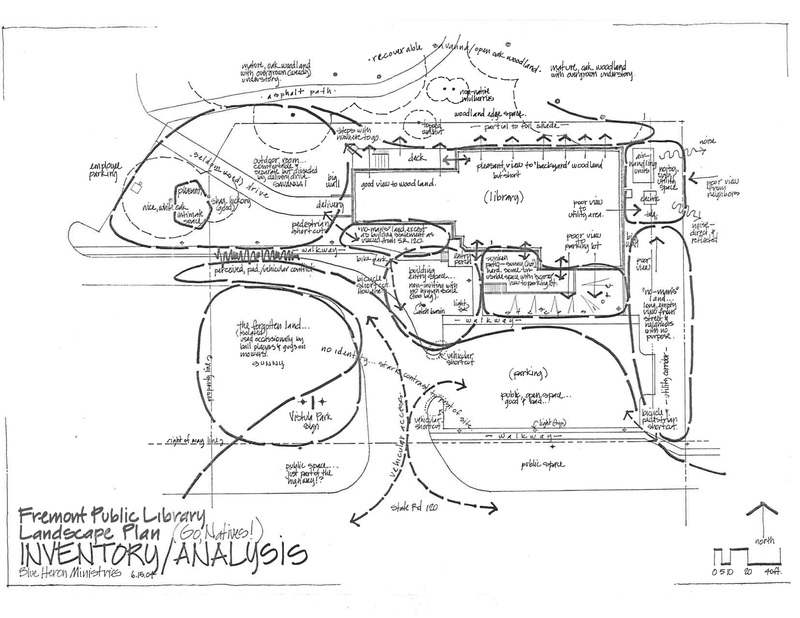 Below is an example of the conservation design services provided by Blue Heron Ministries, Inc. 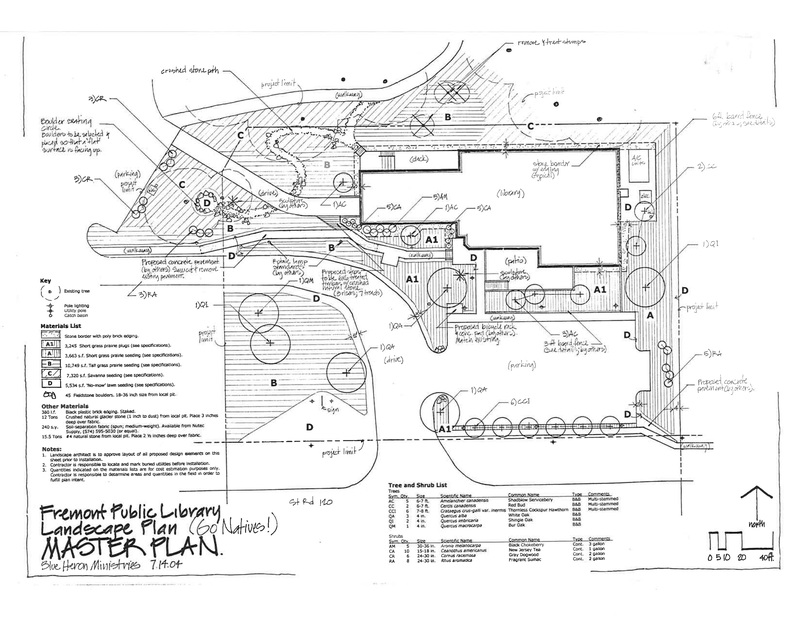 This is a plan of Fremont Public Library in Fremont, IN, completed by Nate Simons, registered landscape architect and executive director of Blue Heron Ministries. 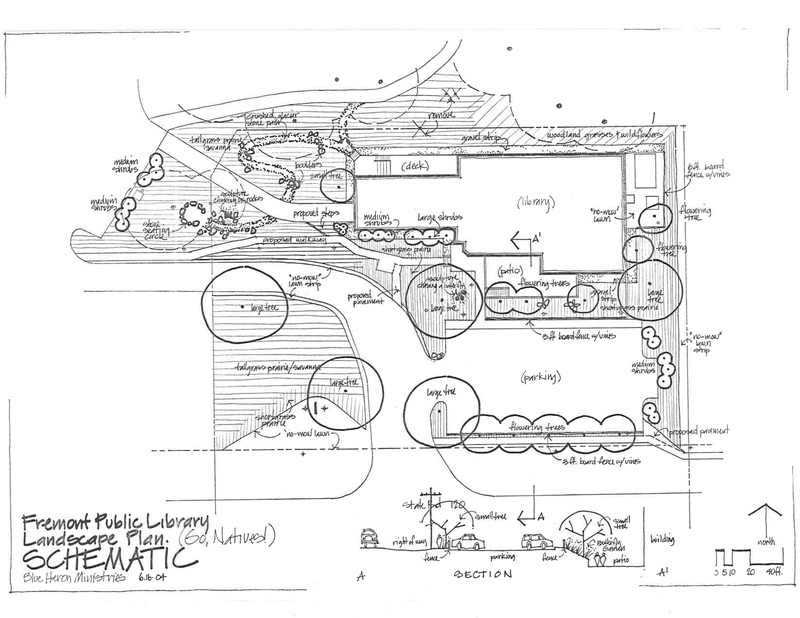 The goals of this design were to provide an enchanting place for library patrons that also improved circulation for pedestrians and vehicular traffic. 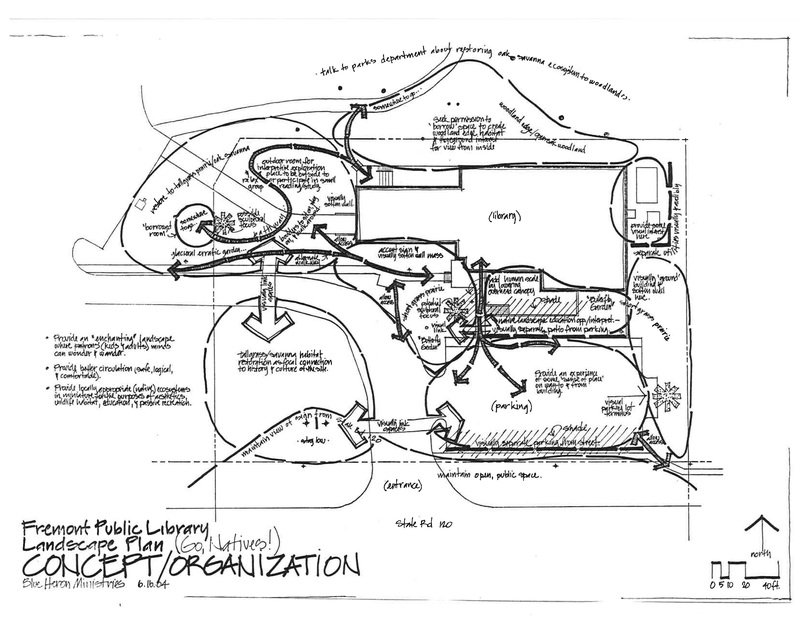 The landscape is meant to educate the public about native ecosystems and wildlife habitat through passive recreation.